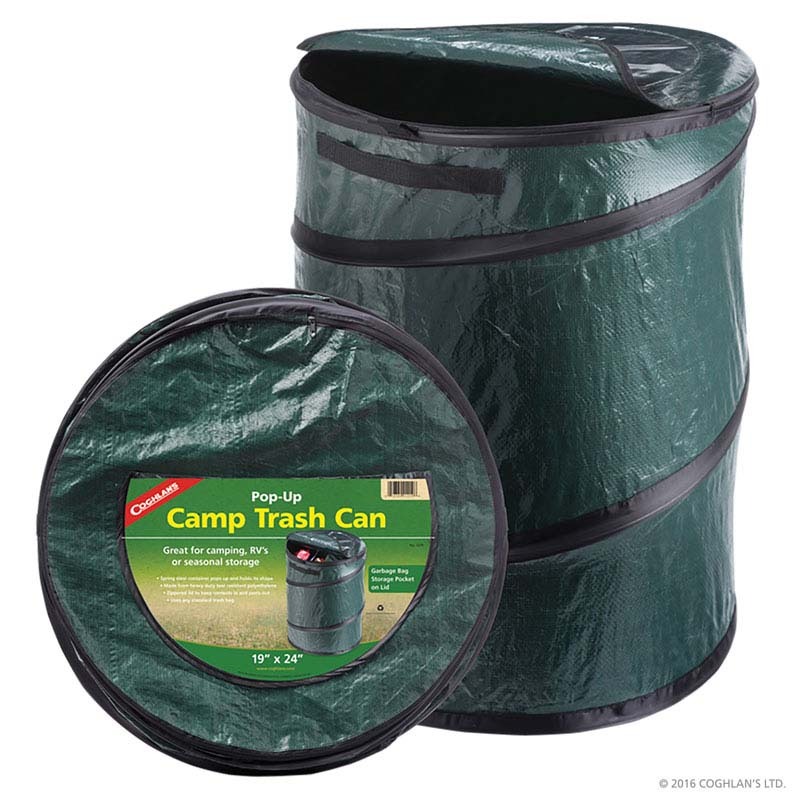 Lightweight and handy trash can to have around the campsite, RV, or motor home. Approximate Volume: 111 L / 29.5 gal. Spring loaded trash can is simple to use, just unzip the storage lid and the spring loaded container automatically expands to its full size. When you’re finished using it, simply push it down flat, and secure the nylon ties on the sides.